Tis the season to be jolly, and eat lots of candy! 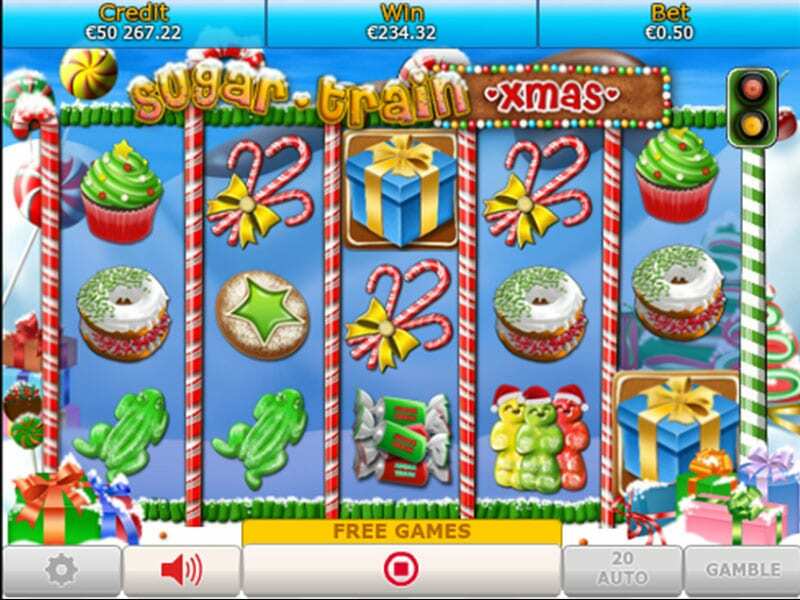 Eyecon’s successful Sugar Train slot has been injected with festive cheer and ramped up with a progressive jackpot to produce the ultimate Christmas themed slot! This is the place where to play online slots and have fun! Cute jelly babies sing carols in their Santa hats, and cupcakes are iced to look like Christmas trees. Other symbols include presents, sugary doughnuts, and beautifully iced biscuits. The playing screen is framed with snow-topped candy canes and set against a frosty background. If you aren’t already in the Christmas spirit, a whirl on these reels is sure to have you feeling festive and craving Christmas snacks in no time! Eyecon is an international software developer based in Brisbane. Operating since 1997, their expertise spans both online casinos and land-based casino solutions. They have over 100 online slots in their portfolio and continue to be a popular game developer; their games are consistently ranked in Top 10 Games of the year lists. If you like Sugar Train Xmas Jackpot, Sugar Train Jackpot offers a non-Christmassy version which you can play all year round! Other sugary titles from Eyecon include Happy Birthday and 99 Time. Discover and casino slot games also backed by this developer. This is a 5 reel, 25 payline slot with an RTP of 93.00%. With a minimum bet of just 0.01 and a maximum of 12.50, this tasty festive treat can be enjoyed by all types of players. An autoplay function can be activated to take up to 25 spins for you, leaving you free to munch on mince pies whilst keeping an eager eye on the reels! We have written some helpful tips for players to read more about best games with amazing RTPs. Look out for the Present icon which is the Scatter. Landing 3, 4, or 5 of these on the reels will take you to a Prize Pick round where you will be entitled to 2, 3, or 5 picks respectively. The highest prize you could get in this Pick round is 100x your total stake! The gummy bears are also a valuable symbol. They are the Wild in this game and can substitute in for other symbols as well as applying a 2x multiplier to winning combinations they are part of. Not only that, if 3 or more appear on the reels at any time you will be rewarded with up to 25 free spins! Another bonus feature is the Santa’s Station Bonus which activates when the wigwag on the side of the screen reaches the top. In addition to these bonus rounds, you can hold out hope for getting your hands on massive wins thanks to the progressive jackpot of this game. 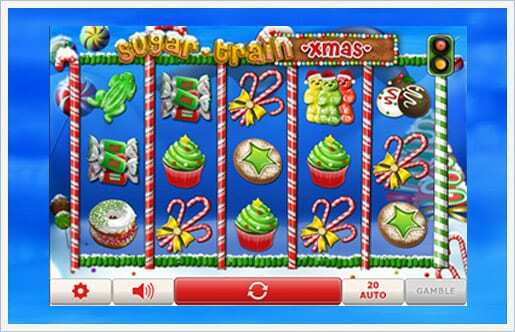 Sugar Train Xmas Jackpot retains the charm and festive cheer of the original tasty slot, but ups the excitement with the progressive jackpot! With a maximum bet of just 12.50, this game is best suited to low-mid budget players. As with all the games in the Sugar Train series, sweet-toothed players will be driven crazy by the delicious treats scrolling past them on the reels, so make sure you have some goodies close at hand to satisfy your cravings! The game is also playable on mobile devices, so you can fulfill your sweet cravings wherever you are! If you enjoyed playing Sugar Train Xmas Jackpot, why not try White Wizard Jackpot now!